GREAT NEIGHBORHOOD! REHABBED HOUSE WITH LOTS TO OFFER. ONE CAR DETACHED GARAGE WITH WOOD BURNING STOVE,LARGE FENCED YARD FRONT AND BACK. UPDATES IN HOUSE INCLUDES BRAND NEW APPLIANCES, NEW PAINT, NEW MANUFACTURED HARD WOOD FLOORS, CARPET, NEW AC UNIT, MOST WINDOWS REPLACED, NEW INTERIOR DRS, BOTH BATHRMS UPGRADED. THIS HOUSE ALSO OFFERS A SEPARATE LAUNDRY RM AND A EAT-IN KITCHEN. SELLER IS WILLING TO HELP WITH CLOSING FEES!!!! 5602 Brokers Tip Ln, Louisville KY 40272 is a Home, with 3 bedrooms which is recently sold, it has 1,044 sqft, 0 sized lot, and 1 Car Garage parking. A comparable Home, has 3 bedrooms and 1.5 baths, it was built in and is located at 8814 Third Street Rd Louisville KY 40272 and for sale by its owner at $ 110,000. 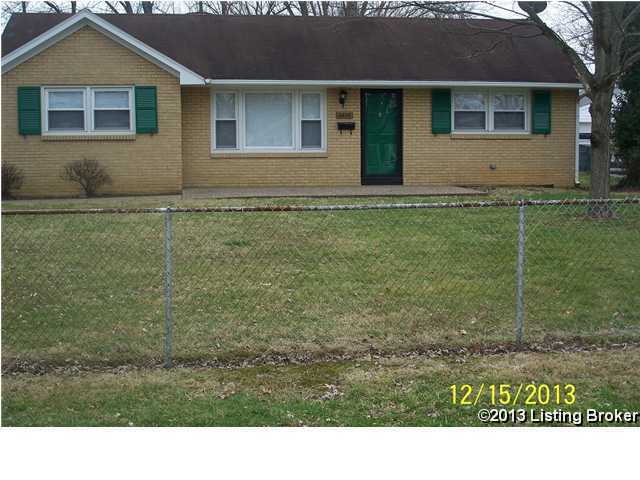 This home is located in the city of Louisville , in zip code 40272, this Jefferson County Home, it is in the NONE Subdivision, and Pleasant View are nearby neighborhoods.